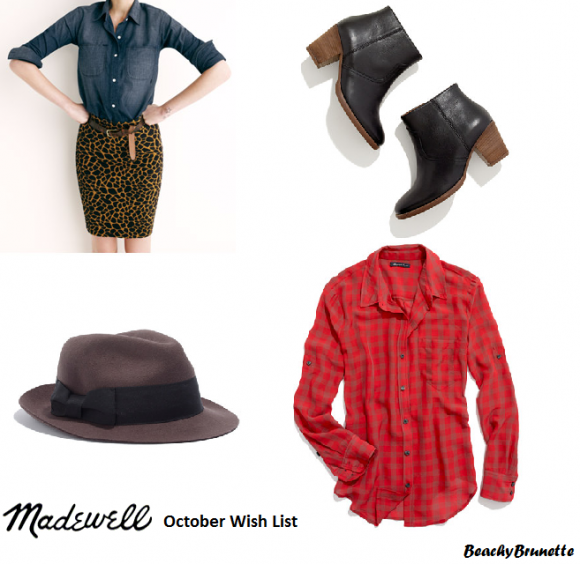 My friend Devon over at Beachy Brunette wrote a recent post about her obsession with Madewell and her fall wish list that I thought I'd share with you! She just bought these two pairs of skinny ankle jeans there. 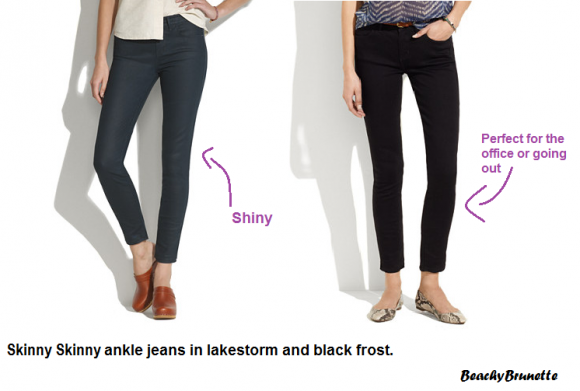 I love Madewell jeans, they last forever and come in a great variety of cuts and colors. Devon got the ankle jeans because they can be great for any season really. In the fall you can wear flats until it's too cold and then hide the length with boots. Devon also compiled a fabulous wish list while she was at the store. What are your favorite things from Madewell? How do you style them? Have a great weekend everyone! And don't forget to check out Devon's blog, Beachy Brunette! I seriously love some Madewell! I have heard of Madewell all over the fashion blogosphere but I havent checked it out for myself. I like the ankle pants ! Things To Do on a "Snow Day"